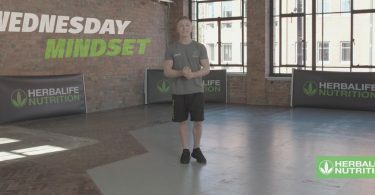 Welcome to the second day of the Herbalife Nutrition 21 day Challenge with Nile Wilson. Our amazing ambassador and Bronze Olympic medallist gymnast is going to guide you through this wonderful journey, to help you to reach your health and body goals. This day’s workout is the Handstand – a fun exercise to build up and maintain a balanced and strong core! 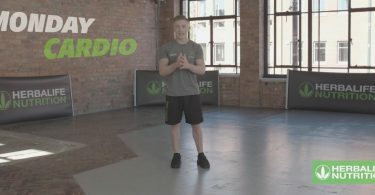 Nile will show you how to step-by-step warm up exercises for your core as well as the muscles you need to activate for an ultimate freestanding Handstand practice. He will introduce you to the simple, yet important, element of warming up your wrists, how to optimise the planking position to help you reach a full freestanding Handstand practice. Remember to exercise at your own pace and raise the level of difficulty step-by-step when you repeat the exercises. Make sure you hydrate before, during and after working. It’s also very important to maintain a balanced nutritious diet. But most importantly, make sure you have fun! Come back tomorrow for Day 3 of the 21 Day Challenge and another great session with Nile Wilson. Don’t forget, to get in contact with a local Herbalife Nutrition Member for support on the right nutritional products, click here.